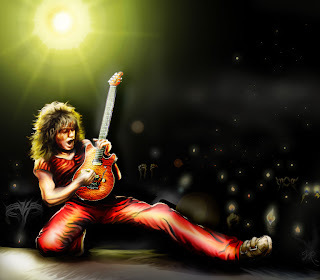 WAKADO: Van Halen to tour in summer of 07 ! Van Halen will be on the road this year, although the band's singer is still unknown. That confirmation is from a source directly in the Van Halen camp -- publicist Janie Liszewski, who is also rumored to be guitarist Eddie Van Halen's girlfriend. Liszewski has worked as a publicist in the adult movie industry, and in an interview posted in the Adult Video News website at avn.com, she said, "I am so excited to be given the opportunity to work with such a legendary musical force and look forward to going on the road this summer. Obviously, this is a dream come true in many capacities."